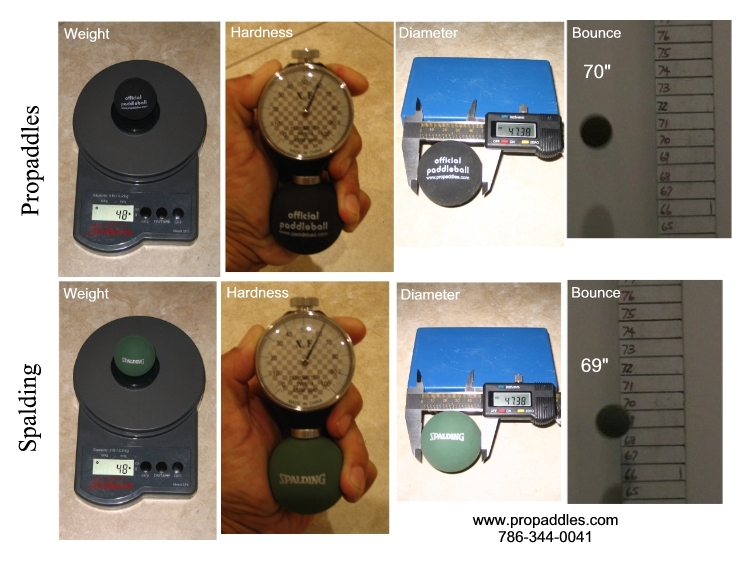 Weighs only 10.5 Ounces / 300 gms !! 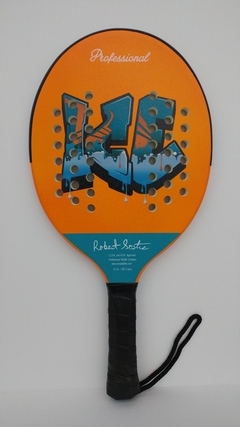 The NEW "Ice" Paddle Soon to be crowd favorite ! 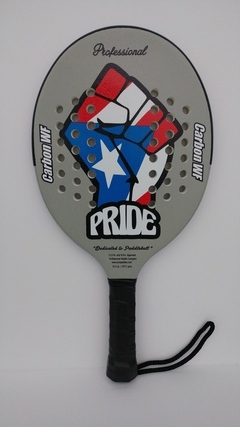 The NEW "Pride" Paddle Just like the ICE model only with different cosmetics in support of our good friends during this difficult time. Viva la Isla ! 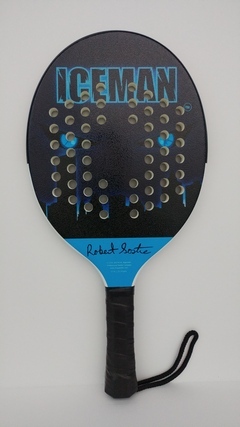 Great Solid Hitting Paddle, "Wider Sweet Spot", Low Weight Balanced, Custom Hole Pattern, Inspired by Robert "The Iceman" Sostre, undoubtedly the best One-Wall Paddleball Player ever ! 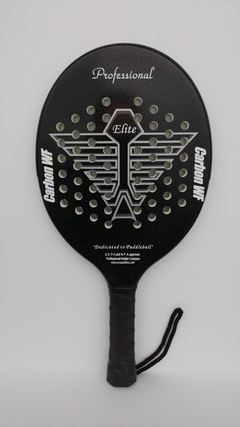 The ever popular "Elite" Paddle Hundreds Sold ! 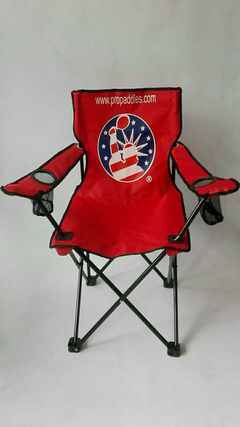 They are made of Natural Rubber like the original Spaldings. 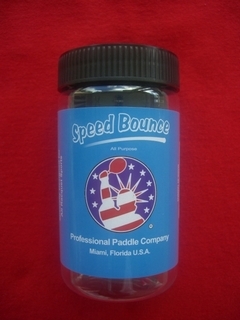 They have a very good bounce (same or better than the Spaldings). They are faster than the balls out now. Because of their speed, they are preferred by the A players as they prefer a faster game. Their speed creates longer volleys as the shots need to be well placed so they can be out of reach. They have a much better spin response when cutting the ball. They last at least two times longer than the competition's. The cans are pressurized so the balls can retain their bounce performance after being stored for a long period. The black color allows for better visibility especially on walls that are painted. Black balls are also easier to find when they fall over the fence and on to the grass. When hitting, the rubber material brings back the sound we veteran wall-bangers remember. Because of their performance, they will bring fun and interest back into the game. You can put the�ball away for the following week and still retain it's performance. Don't settle for anything less !! 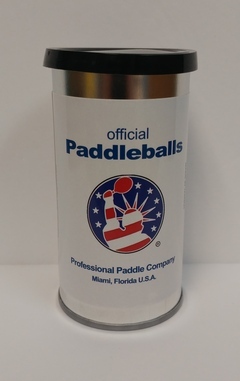 Play with real Paddleballs, not Handballs ! 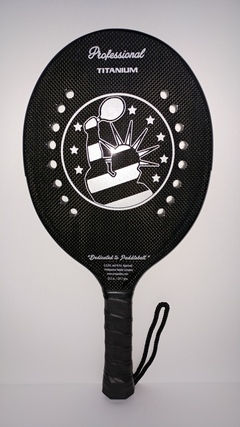 Big Ball Paddle - The New Rage !! They are made of Natural Rubber like they should be !! 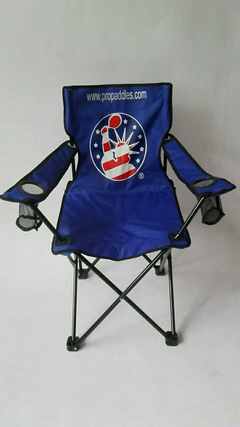 Take with you to the Park ! Feel free to call in your order !! 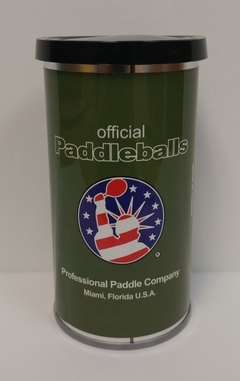 Copyright © 2003 Professional Paddles, U.S.A.